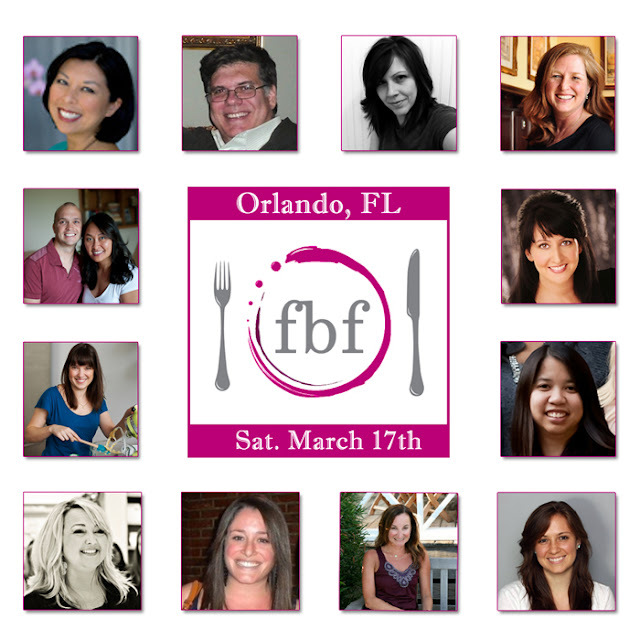 Attending the 2012 Food Blog Forum in Orlando next week! It's official! I applied a few weeks ago but just got word today that I'll be attending the Food Blog Forum at Walt Disney World the weekend of March 17th! I feel honored that I was invited to be there with some of the top food bloggers, food photographers, cookbook authors, web designers and others. I'm hoping some of their awesomeness rubs off on me! The line up of speakers at the conference sounds amazing. We'll be learning about Food Photography & Styling, lessons in Public Relations, how to write "bigger, better more badass food posts", how to take a blog to the next level (oh I need help there! ), and networking sessions with experts in the field! I attended last year's Food Blog Forum and felt like I made some improvements based on the information that I learned from the conference, mostly with food photography. Though I admit I sometimes still use my iPhone to take photos and so I'm not talking about *those* photos! Who else is going to the Food Blog Forum?! Post in the comments section!